You can teach your child some vital developmental skills by simply guiding them to say thank you, be generous and give to others. Here are a few good ideas for things you do together to contribute to society. Bake cookies and take them to your nearest police or fire station. The people on duty would appreciate the thought and your child can meet a few of his heroes and see the fire engines close up. Encourage kids draw pictures of firemen or policemen in action to put up on the wall. They could write a prayer or poem for them on a pretty piece of paper and frame it. Give a fire engine/police van or fireman or policeman built with Lego or ordinary blocks. Let kids glue old fireman or policeman toys on a piece of painted cardboard to make a tableau they can give away. Kids under 10 are too young to be charity workers but there are many ways you can teach them the value of giving back and encourage them to make their community a better place. Collect old newspapers and take them to the Society for the Prevention of Cruelty to Animals (SPCA); staff always need newspaper to put in animals’ cages. Animal organisations also need blankets and pet food. Help your children to knit squares which you could sew together to make a pet blanket. Regularly donate food to animal organisations. Go through your cupboards together to see which clothes you could donate to charity. Encourage your child to go through her cupboard and choose clothes she wants to give away. Encourage your child to choose five special toys and pack them into a neat parcel which you can drop off at a children’s home, hospital, playschool or place that needs toys. It’s important that she hands over the toys herself so she’s ­involved in the project from start to finish. Get a few of your child’s friends together and clean up a green area such as a beach, wetland, park or river bank. Is there an elderly, sick or needy person in your area who you could help? Offer to rake up the leaves in their garden, do their shopping, stand in a queue on their behalf or cook meals for them. Do this regularly. Visit an old-age home and chat to the residents. Take pictures of them to show on your next visit. Bake a cake and drop it off at a refuge for the homeless. 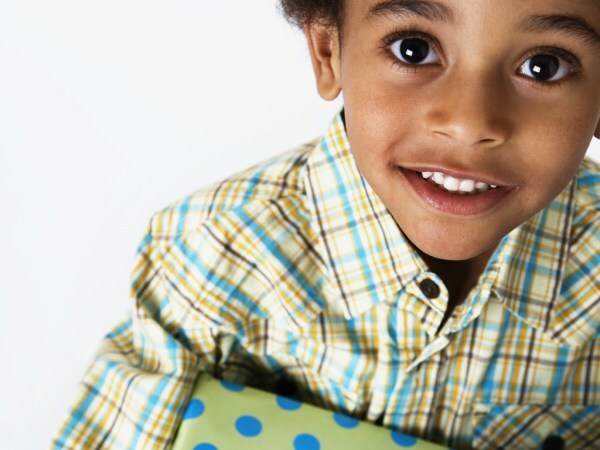 Help children fill a basket with goodies, decorate it and drop it off at a family in need. Set an example. If you want your child to have a generous spirit but you spend most of your money on yourself she will copy your actions rather than listening to your words. Talk to them about how you decide what to donate. What is a deserving cause? Teach them that giving is not only about money. You have goods, skills and time to give too. Encourage them to set aside a part of their pocket money for charity. Let them divide it between ­three piggy banks each week or month: one for spending, one for saving and one for sharing. Praise children when they are generous.